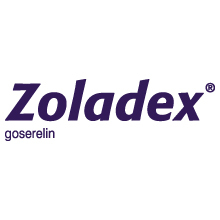 Zoladex (goserelin acetate) is an injectable luteinising hormone-releasing hormone analogue (LHRHa) administered as ZOLADEX SafeSystem. It stops the production of testosterone and oestrogen in the testes or ovaries and is used to treat hormone-sensitive cancers of the prostate and breast (in pre-/perimenopausal women) and some benign gynaecological disorders (endometriosis, uterine fibroids and endometrial thinning). In addition, Zoladex is used in assisted reproduction.